Government rescue workers are focusing on half a dozen key sites around the ravaged seaside city of Palu -- the Hotel Roa-Roa where up to 60 people are still believed buried, a shopping mall, a restaurant and the Balaroa area where the sheer force of the quake turned the earth temporarily to mush. The death toll in Indonesia's twin quake-tsunami disaster rose to nearly 1,400 Wednesday, with time running out to rescue survivors and the UN warning of "vast" unmet needs. Authorities set a tentative deadline of Friday to find anyone still trapped under rubble, at which point -- a week after this devastating double disaster -- the chances of finding survivors will dwindle to almost zero. Almost 200,000 people need urgent help, the UN's humanitarian office said, among them tens of thousands of children, with an estimated 66,000 homes destroyed or damaged by the 7.5-magnitude quake and the tsunami it spawned. Despite the Indonesian government urging foreign rescue teams to "stand down" because the crisis was in hand, residents in hard-hit, remote villages like Wani in Donggala province say little help has arrived and hope is fading. "Twelve people in this area haven't yet been found," Mohammad Thahir Talib told AFP. "In the area to the south, because there hasn't been an evacuation we don't know if there are bodies. It's possible there are more," the 39-year-old said. In Geneva, the United Nations expressed frustration at the slow pace of the response. "There are still large areas of what might be the worst-affected areas that haven't been properly reached, but the teams are pushing, they are doing what they can," Jens Laerke, from the UN's humanitarian office, told reporters late Tuesday. The World Health Organization has estimated that across Donggala, some 310,000 people have been affected by the disaster. 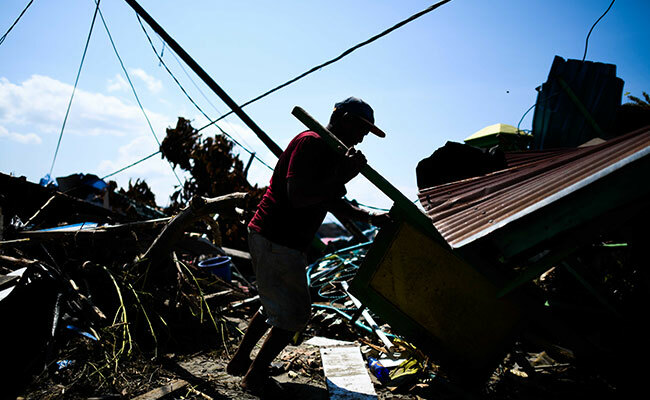 Survivors are battling thirst and hunger, with food and clean water in short supply, and local hospitals are overwhelmed by the number of injured. Officials on the ground said that while the government was now inviting offers of help, there is still no "mechanism for this to be implemented". Landing slots at Palu airport are snapped up by the Indonesian military, although it was expected to be open to commercial flights from 7:59am on Thursday. Palu's port, a key transit point for aid, has been damaged. Signs of desperation are growing, with police officers forced to fire warning shots and teargas on Tuesday to ward off people ransacking shops. Six of the Indonesian social affairs ministry's trucks laden with supplies were reportedly looted enroute to Palu. In the main route north out of the city, an AFP journalist saw youths blocking the road and ask for "donations" to clear the way. Widodo, who faces reelection next year, insisted the military and the police were in full control. "There is no such thing as looting," he said on a visit to Palu. As survivors pick through the shattered remains of their neighbourhoods, the death toll continues to rise. "The death toll is now 1,374, 113 missing," Willem Rampangilei, head of Indonesia's national disaster agency, told reporters in Palu on Tuesday. "And there are still a few bodies trapped under the rubble. We don't know how many. Our priority is still to find and save people," he added. The Indonesia-based ASEAN Coordinating Centre for Humanitarian Assistance said that more body bags were "urgently" needed as fears grow that decomposing corpses could provide a breeding ground for deadly diseases. Rescue efforts have been hampered by a lack of heavy machinery, severed transport links and the scale of the damage. In yet another reminder of Indonesia's vulnerability to natural disasters, the Soputan Volcano in Sulawesi erupted Wednesday, spewing volcanic ash up to 4,000 metres above the crater. The state disaster agency warned people to stay at least four kilometres (two and a half miles) away, but said there was no need to evacuate for the time being. International aid offers have picked up since Jakarta's belated request for help, with the UN's Central Emergency Response Fund announcing late Tuesday that it was releasing $15 million in aid. On Wednesday, Australia said it was sending a medical team to the disaster zone and providing an additional $5 million in aid. With power returning to some parts of Palu late Tuesday and phone networks back up and running, there were some signs of things getting back to normal. But for most, daily life has changed beyond all recognition. Palu residents crowded around daisy-chained power strips at the few buildings with electricity, or queued for water, cash or petrol being brought in via armed police convoy. Queues to get a few litres of petrol lasted more than 24 hours in some places. Sanitation is also a growing problem. "People everywhere want to go to the toilet but there's no toilet. So we do it along the road at night," said 50-year-old Armawati Yarmin. Indonesia sits along the Pacific "Ring of Fire", the world's most tectonically active region, and its 260 million people remain hugely vulnerable to earthquakes, tsunamis and volcanic eruptions.